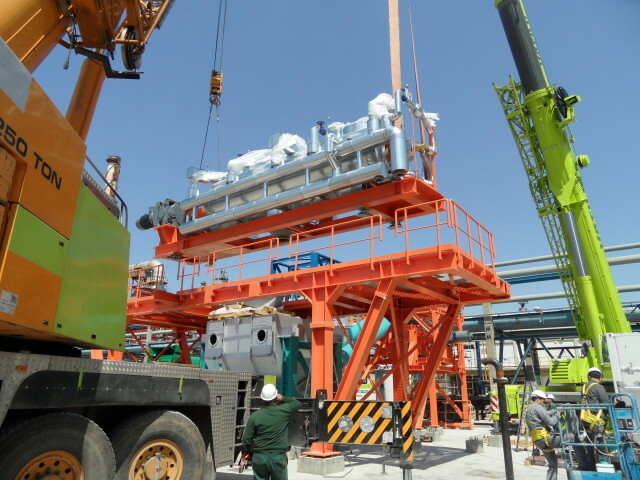 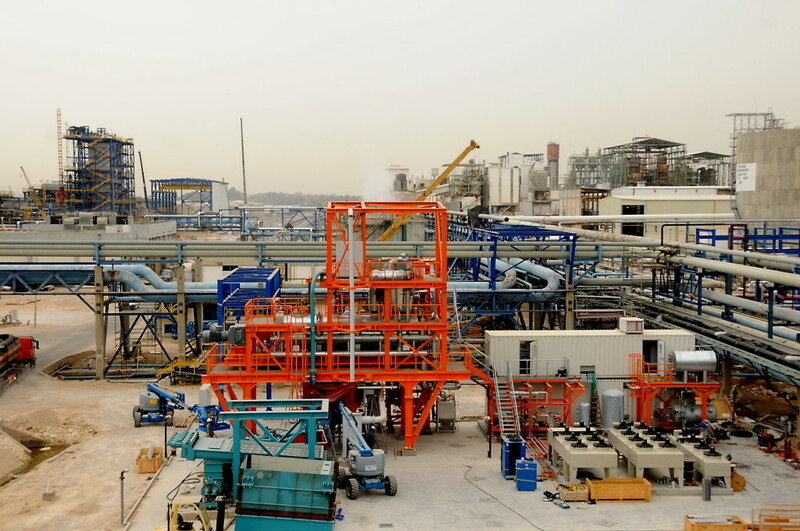 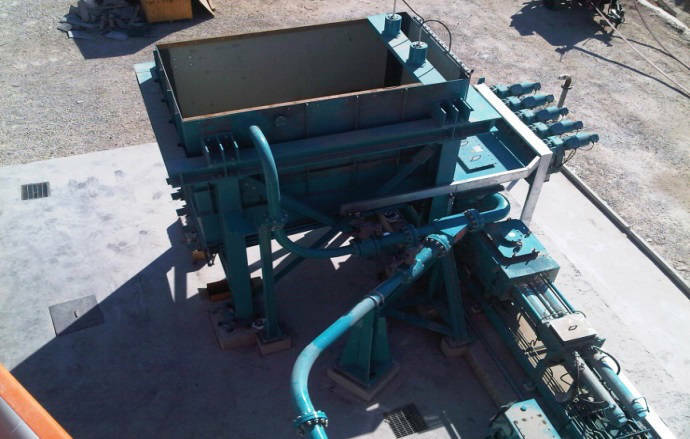 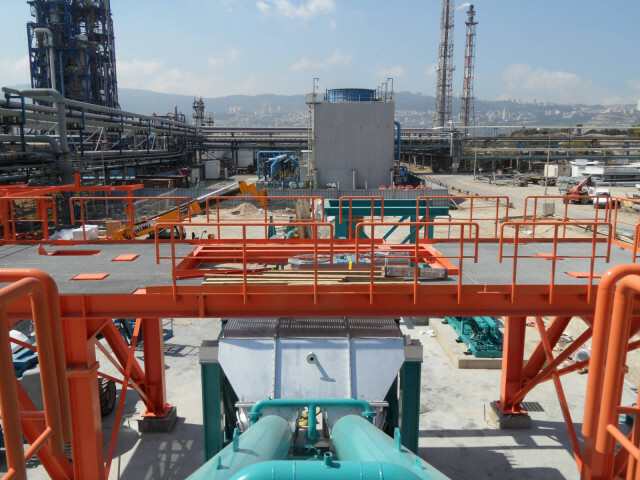 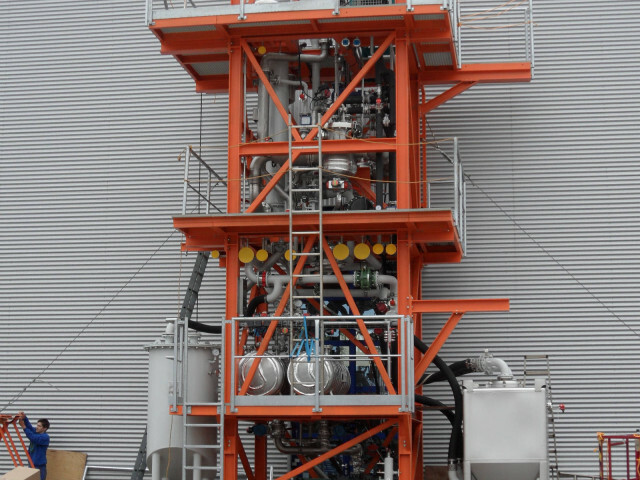 The first VacuDry® plant installed at a refinery is designed to treat waste which has accumulated over the last decades, as well as waste that will be generated inside the refinery in the future. 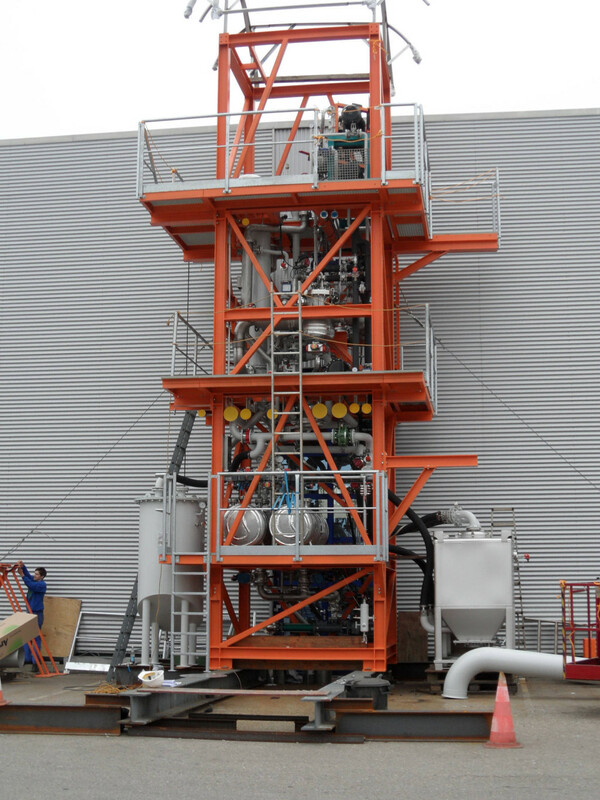 The semi-mobile system has a capacity of 1.5 to 2 tons per hour. 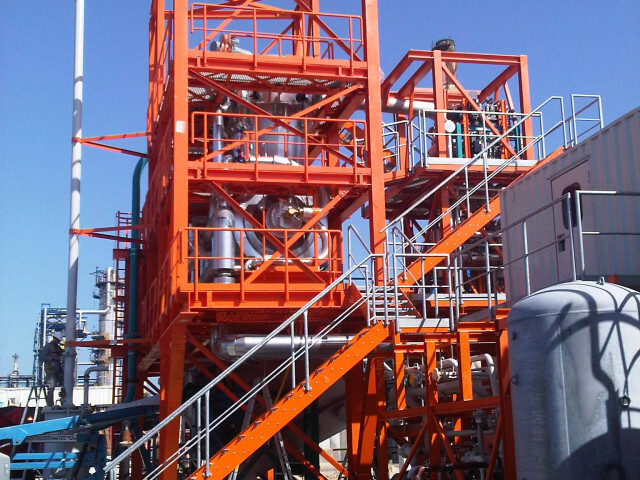 The plant is designed for maximum flexibility and can treat different types of refinery wastes ranging from dry soil to wet centrifuge cake. 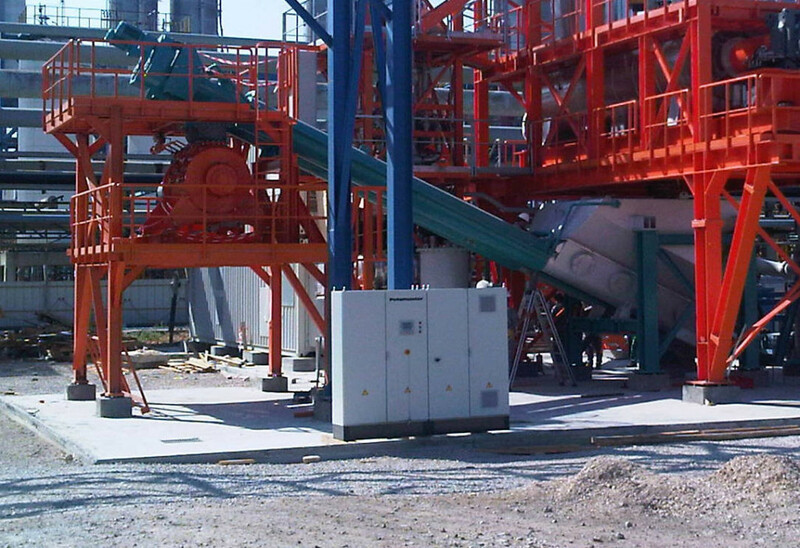 The plant is equipped with one VacuDry® 12,000 dryer. 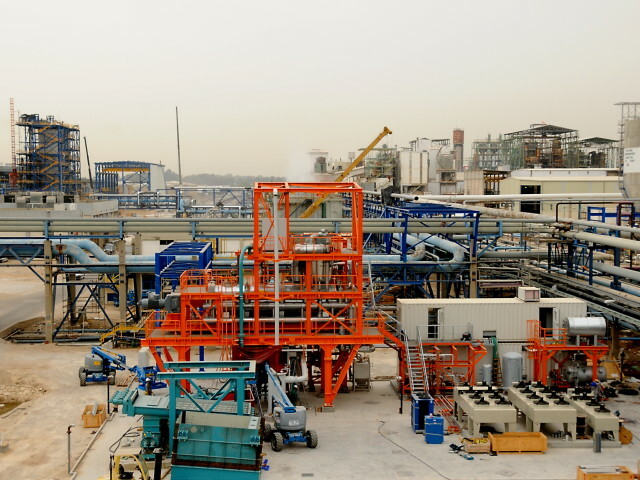 The input material mainly contains crude oil as well as specific hydrocarbon fractions. 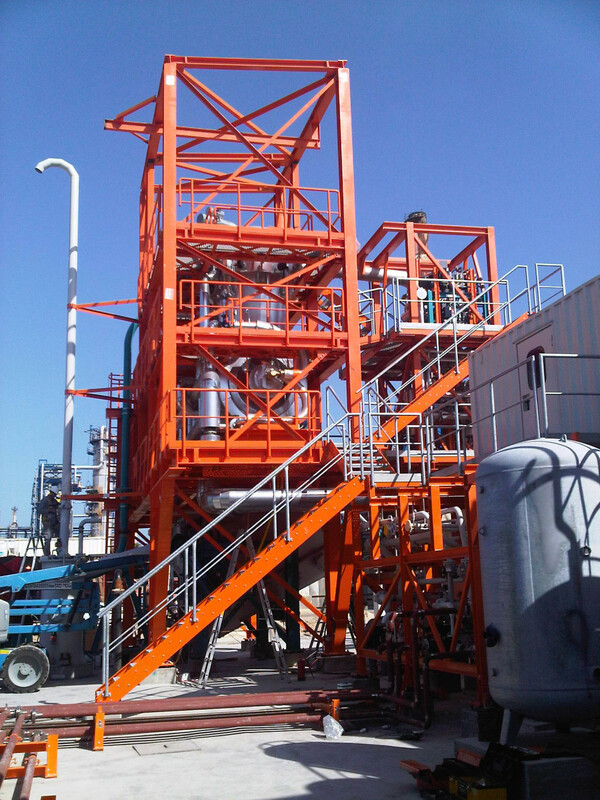 After separation the recovered oil can be reused in the refinery process. 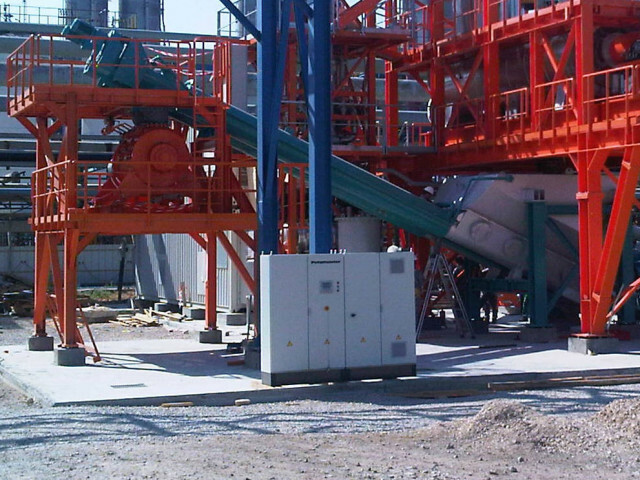 The cleaned mineral residues have a hydrocarbon concentration (C6-C36) of less than 0.5 %. To achieve lowest vacuum inside the dryer, vacuum system, piping and all relevant components had to be designed in a robust and energy efficient way. 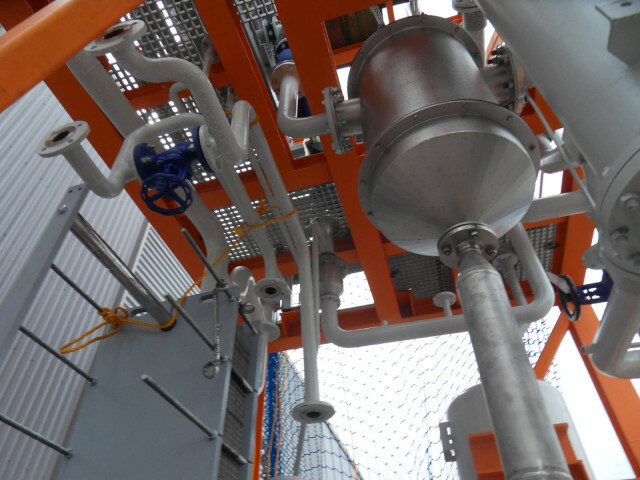 Minimised piping length and flow–optimised components ensure best evaporation results. 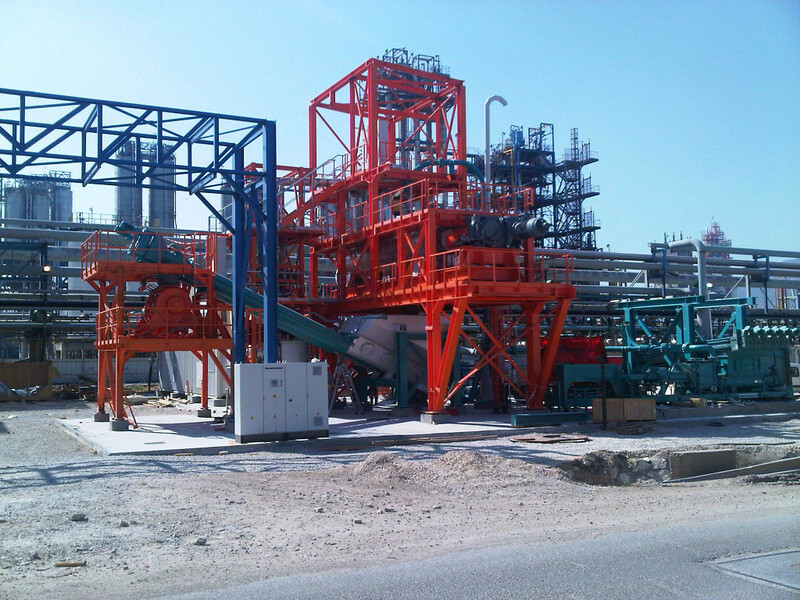 Due to the safety requirements inside the refinery a flame fired heating system was forbidden. 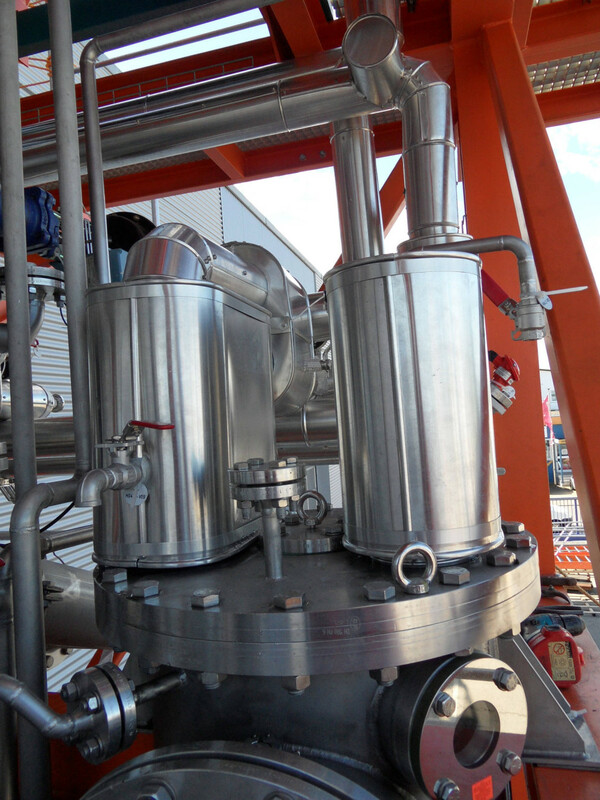 Therefore econ industries realized an electrical heating instead of a fuel or gas fired heating system. 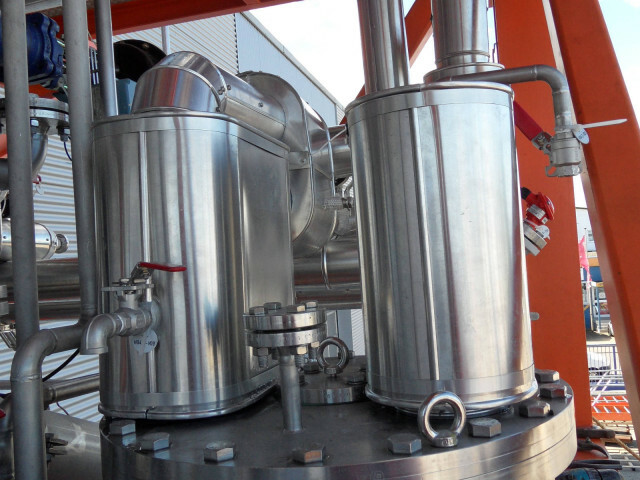 As the econ VacuDry® plant is a closed system there are almost no emissions from the process and energy consumption is very low compared to other treatment systems.